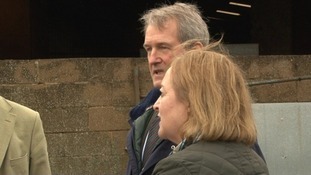 Arriving at Oundle in Northamptonshire this morning Owen Paterson was keen to hear about the environmental issues affecting local people. Visiting the weekly market he spoke to traders and took the opportunity to find hear about matters of concern. Among them the issue of windfarms which the Government claims are necessary to meet the UK's energy needs, but are often seen as a blight on rural areas. The other hot topic was of course the disease threatening ash trees in our region.